Will Blockchain Deliver Trust and Disruption? Blockchain is known as an underlying technology for bitcoin. Blockchain, itself a protocol, runs distributed public ledger. On blockchain, every single transaction is performed in a trusted environment and recorded in encrypted form. Every single node has an exact copy of other blockchain nodes. It is virtually impossible to hack, and even if it is hacked, an exact copy is available via 100s of other nodes that maintains information integrity and availability. As series of transaction are maintained and updated in a form of blocks on general ledger, it is called a blockchain. In terms of bitcoin mining, once the new block (hash value) is uploaded to one of the blockchain nodes and then each node on the entire blockchain will verify it and update the new mining value accordingly to the register. The value is called a bitcoin, and it can be used in terms of cash or value. The value can be used to trade or process and for various enhanced secure purposes. For instance, use bitcoin instead of cash even for a micropayment, buy a token of value that is equivalent to a vote that can be cast during an election. This is called transaction of something that reflects value easily and is efficiently recorded on blockchain. Blockchain rides underlying TCP/IP protocol as it used by IoT. As a value-added business service, blockchain is a protocol of communication among publicly-distributed network nodes and databases; secured values and updates are synchronized constantly across all the nodes. Blockchain policies are simply the contracts and agreements used on current systems such as legal contracts, financial contracts, mobile plan contracts, business contracts and many more for a peer-to-peer (P2P) common agreement among a client and service provider via blockchain verification process. A mechanism of hashed values verification and acceptance for each transaction recorded by specific nodes and synchronization of the transaction across the distributed nodes is a protocol of blockchain. Protocols are defined as individual tenants’ policy to the blockchain nodes, so a P2P agreement between A and Z parties is maintained and operated securely and synchronized across all the blockchain nodes. It is highly secure, available, resilient and simplified. In layman terms, blockchain policy-protocol is a value-added service such as digitized bank and credit card providers, digitized lawyers farm, real estate digitized farm, a digitized insurance company and policy transformed into digital format which is exchanged, traded and trusted based on underlying crypto-hashed value used by blockchain technology. a.) 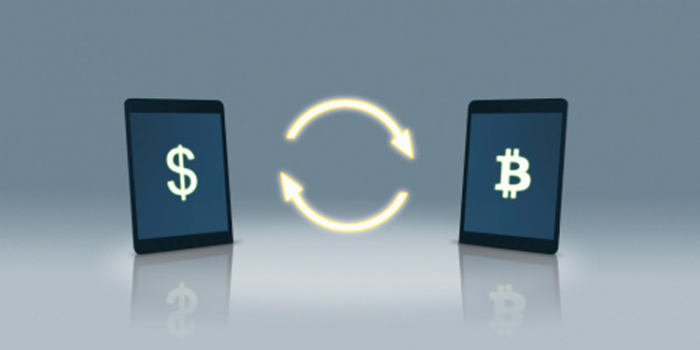 Cryptocurrency is a digital encrypted hash value used for P2P digital currency or cash system. Since bitcoin is traded peer to peer, no middle men such as banks are involved by significantly cutting transaction costs where distributed ledger nodes manage start-to-end transactions. For example, wire transfer, goods, cash and commodities can be traded with bitcoins, and credit card companies use blockchain technology for security advancement and development. b.) Personal Identification Number (PIN) management with blockchain is a secure digital value given to specify an identification for a person. A hash value identifies a person and can be used to log on to Facebook, and potentially replace a driver’s license, marriage certificate, birth certificate, legal name or home address. For instance, a blockchain ID could open a Facebook or Twitter account, so the blockchain can be used to store not only password but all other sensitive information that is impossible to hack. c.) Verification mechanism with blockchain is also a secure digital value given to a person, family or group and can be used to verify their characters and identities. As an example, a hash value can be given to a newly-married couple to verify their status, bond, property papers, shares and stocks and also their insurance policy and claims managed by blockchain. d.) Smart contracts with blockchain is a secure digital value given to sign the job agreements, lease agreements, legal papers and business contracts. For instance, to legally bind the lease agreement between a house owner and a tenant, they can exchange digital hash values by skipping relator, lawyers and accountants. e.) Real-time monitoring with blockchain is used to monitor all transactions around the world as it operates in distributed fashion, relying on blockchain nodes. It also mitigates the single point of failure which is an advancement to the secure IoT communication. For example, instance management of RFID products shipment start to end. Blockchain disruption in digital ecosystems means technology inventions, innovations, evolutions and transformation of existing systems, thus creating ripples of effects on society and daily life. Who knew the Internet would bring so much revolution to humanity? Well, so will blockchain. As IoT is a disruption to the Internet, blockchain is a disruption to well-structured modern systems and organized trading. In the contemporary IT landscape, with database systems and the proliferation of IoT, it’s a data emission arena where confidential credit card information, patient information, governmental secret information risks being leaked, hacked or stolen due to technical or human means or errors. Such activities should never be allowed in the first place. Evolving blockchain technology, security and information handling processes indicate significant shielding and protection of data, and hash values are completely opaque to the unknown parties. A greater security phenomenon is brewing with blockchain technology.